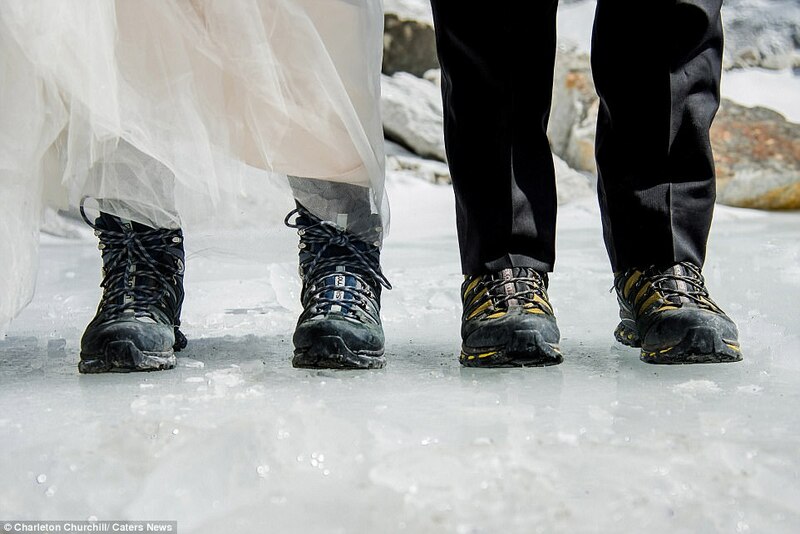 Every couple dreams of making their wedding ceremony a memorable moment of their life. So, was the plan for these Californian couple until they seek some advice from their wedding ceremony photographer. 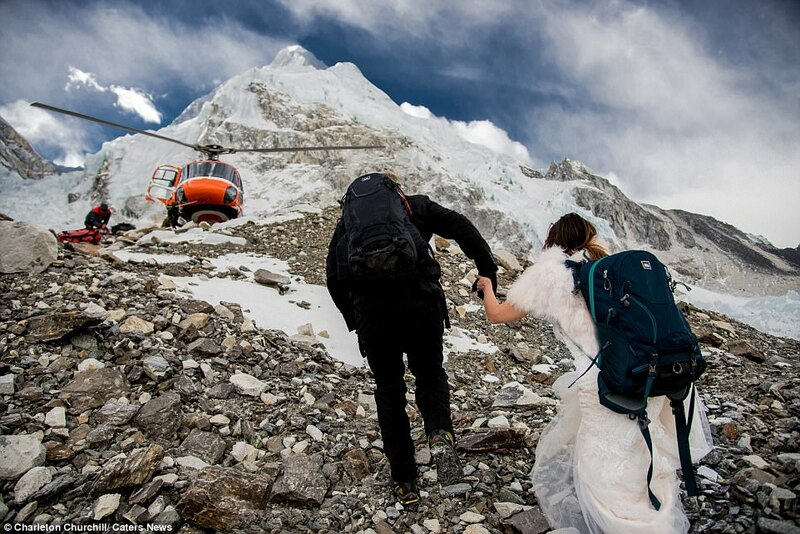 And that was it, they became the first couple to tie their knot on a wedding dress and tux at Mount Everest. 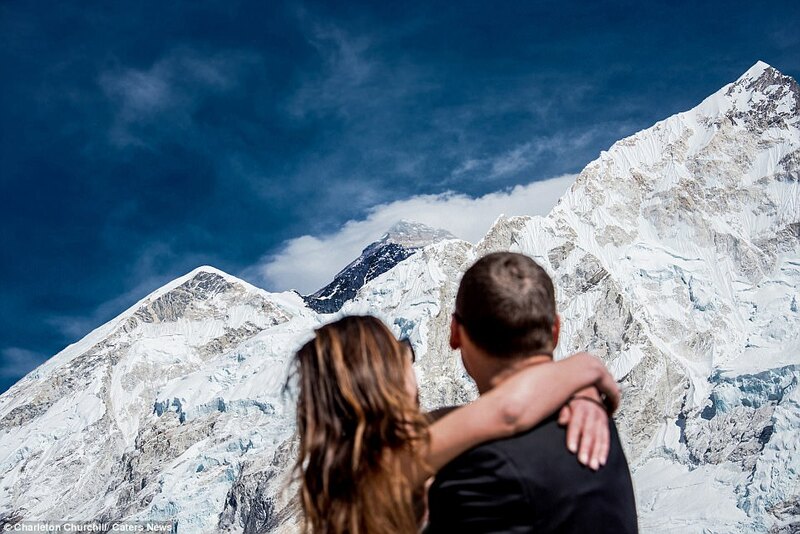 Meet the couple who just made the world's highest peak Mount Everest's base camp the venue for their wedding ceremony: James Sissom and Ashley Schmieder. 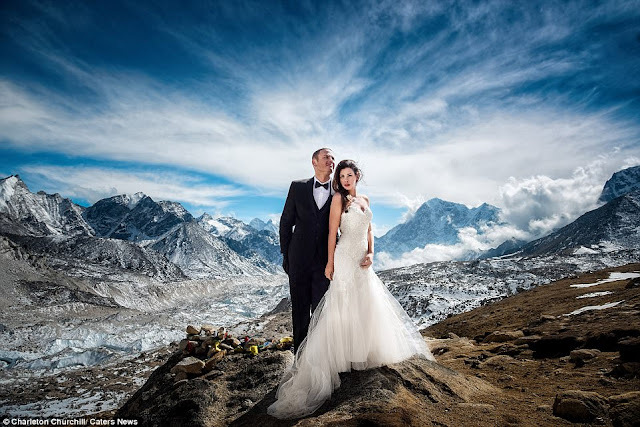 They both married on March 16, 2017 in front of Khumbu ice fall at Everest Base Camp EBC in Nepal. The entire ceremony took three weeks and they were accompanied by an adventure wedding photographer Charleton Churchill. 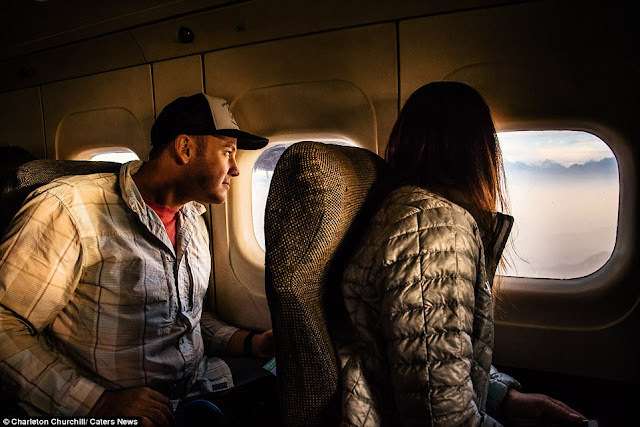 "They literally take their relationship to a very high level"
In a detailed post on his personal blog Charleton Churchill writes that the couple first got in touch with him through his social media page. 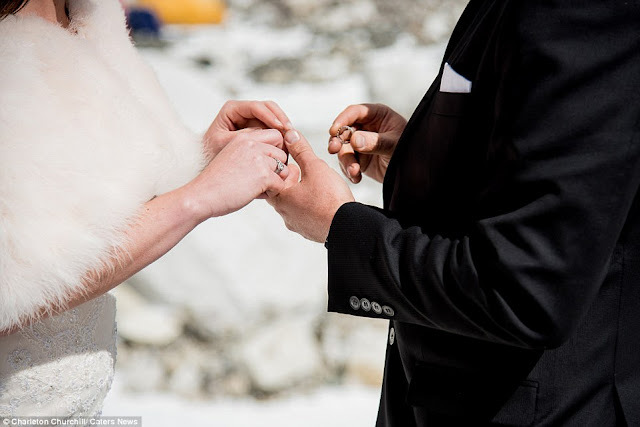 They were seeking for an "adventure wedding" and that was the moment when something extraordinary popped up in Churchill's head: "I suggested Mount Everest and well here we are" he writes. Churchill also mentions that he have been wanting to photograph a real wedding at Everest since 2011. He had also attempted to do it two years ago with some other couple on 2015 which was canceled because of the devastating earthquake. And is extremely delighted to finally pulled it off. All three of them, Sissom, Schmieder and Churchill, trained for a year to bring this wedding plan to fruition. The photos which Churchill captured are all rocking the world. But taking all these was not easy. "Now saying this was an epic and amazing trip is true, but I would be remiss if I didn't share it came with some suffering, doubt, fear, anxiety, and physical pain...There's no glory without suffering," writes Churchill on his blog post. 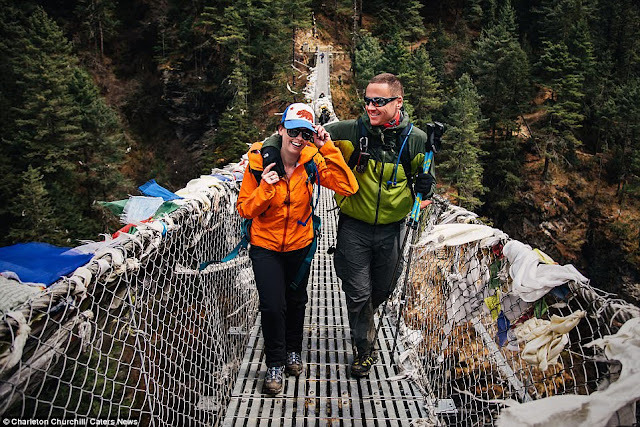 "When we arrived to base camp, we were told we have 1 hour and 30 minutes to eat, get married, pack up, and get on a helicopter. So, we ate, drank, and got married in an hour." he writes. For more details on his blog post and some more photos you can visit Churchill's blog post here.